America’s backing of Jerusalem as the Israeli capital has thrown the Palestinian peace process into disarray. Where do we go from here? 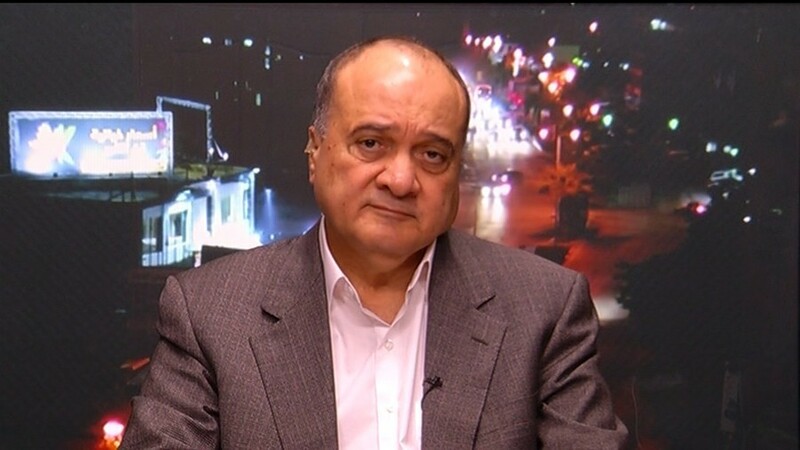 Nasser al-Qudwa, the former Foreign Minister and Palestine’s ambassador to the UN, joins us to discuss. Sophie Shevardnadze: Nasser al-Qudwa, the former Foreign Minister and Palestine’s ambassador to the UN, welcome to the show. It’s really great to have you. Ambassador, Palestinians don’t trust the U.S.-led peace efforts anymore and want to establish a multilateral format of peace negotiations, talking about Moscow hosting the future talks. But Israel said it would only co-operate if the Americans lead the peace process. So how do you expect your multilateral format to work if Israel isn’t a part of it? Nasser al-Qudwa: Well, we don’t think that it should work without Israel, but we think that it’s the duty of the international community to push the Israelis to accept certain things including its will to establish a multilateral format, as you said. That mechanism in our mind should be responsible for putting together the basis for negotiations and following-up negotiations and sponsor that. SS: Donald Trump has recently said that he’s “not sure” both Israel and Palestine want to move forward towards peace at this point and he then said “let’s wait and see” before things can move forward. Do you agree, has the U.S.-led peace process stopped in its tracks for now? NQ: Well, we don’t think that statement was a fair one. We think that the Palestinian side has always proved beyond any doubt its willingness not only to negotiate but to actually reach an agreement - something that the Israelis have never done in terms of talks and deeds as well. Let’s remember that the Israeli government went on the campaign of the settler colonialism, causing all kinds of problems which actually negate all possibilities for reaching a peace agreement. Again, the statement is not fair and we think it’s the Israeli side to take the blame. NQ: Listen, we don’t pick and choose who should be in the international mechanism. After all it’s the responsibilities of those parties themselves to decide, to coordinate and to come together within the framework of such mechanism. We are not in a war against the U.S. We said what Americans themselves have said and done. This disqualify them from playing the role of co-sponsor of the peace process and that’s why the international community needs different mechanisms. Who will be there - it’s their business, it’s something that they themselves can solve together. SS: The U.S. plans to cut financial aid to Palestine in half. Mahmoud Abbas’ adviser Nabil Shaath said that aid slash wouldn't do any serious harm to the Palestinian economy. How can that be not a big deal for Palestine, if the UN is repeatedly warning that Gaza is on the verge of total collapse, with undrinkable water, medical supplies running out, cholera outbreak looming? NQ: To start with, U.S. assistance is limited in terms of scope and in terms of goals to be achieved through this assistance. And maybe some of my colleagues suggest that cutting or reducing aid wouldn’t cause damage or harm to the Palestinian people. Nevertheless, let me tell you that any assistance to the Palestinian people is something that is very important and valuable. Nevertheless, no assistance can come at the expense of the independence of the Palestinian decision. And no assistance can actually influence our direction and the decision-making process on the Palestinian side. SS: With no full independence in sight, Palestinian officials are thinking about dissolving the autonomous government (which was supposed to be temporary anyway), and handing all the work and burden of governing Palestine back to Israel directly. This sounds pretty much like capitulation to me. Does it make the decades-long Palestinian struggle for statehood null and void? NQ: Actually, I don’t have the same thinking. I believe that the establishment of the Palestinian Authority was an achievement for the Palestinian people. We need to struggle to go forward, not backpedaling. Going forward means to achieve the national independence of the state of Palestine in 1967 borders with East Jerusalem as its capital. So, maybe we have some disagreements here among ourselves as Palestinians, but, again, the Palestinian Authority should continue, we should continue not give up our responsibilities towards the Palestinian people. SS: With this being discussed, will any dissolution of the PA mean the end of Fatah and the PLO as well? How can there be a government representing the Palestinians which doesn’t actually govern anybody? NQ: No, an end of the Palestinian Authority wouldn’t mean an end to Fatah or PLO. Fatah is an independent political party and PLO is a national umbrella organisation that is composed of many political organisations. The Palestinian Authority is something else: it came as a result of political agreements between the Palestinian and the Israeli sides, and as a result of a direct election by the Palestinian people. Again, in spite of all its shortcomings (and there are shortcomings), nevertheless, I personally believe we should keep the Authority and we should push hard in a very serious way to move forward, especially with regard to the achievement of our national independence of our state. SS: So, how is Trump’s recognition of Jerusalem as Israel’s capital going to change the Israeli-Palestinian dispute? NQ: First all all, let me reiterate once more that that step represented a violation of the international law, the violation of the UN resolutions to which U.S. itself was a party. It was a departure from the established U.S. policy. It was also the violation of the international agreements, again, to which the U.S. was a party. It was a violent assault on the Palestinian people, on the right of the Palestinian people to Jerusalem as its capital. Also, I think, it was a huge challenge to Muslims and Christians around the world, those who believe that this city is holy one to all of them and not only to a particular religion or a particular side. SS: This is only one country’s voice, the rest of the world isn’t moving their embassies to Jerusalem - why such a strong negative reaction to that from the Palestinians? NQ: Listen, I agree with you that it’s only one country and I agree with you that in reality that proclamation didn’t create any new facts on the ground. Nevertheless, it’s also an important country. And our position relates to that country, it’s not related to the whole international community. We believe that their actions meant certain things, that is why we believe that the U.S. has disqualified itself from playing any significant role in the future. SS: Why, do you think, they did it, if that the consequence of their decision? NQ: Well, that’s a good question, but it’s not for me to answer, frankly, it’s for the administration itself. People speculate about certain things including the influence of certain political pressure groups in the U.S., they speak of other reasons as well. But in all cases there’s no doubt that the decision didn’t come to serve the interests of the U.S. in a broad term, or to serve the interests of the peoples of the Middle East, and definitely not to serve the cause of peace and the attempt to reach an agreement between the two sides. SS: So, does it mean, that the U.S. is not really interested in the peace outcome? NQ: No, not necessarily so. It could be interested, nevertheless, it could be influenced by certain extraneous elements or extraneous considerations. Again, it’s not really for me to speculate on this front. The clear thing for me is that the U.S. made big disservice to the people of the Middle East, it did disqualify itself from playing the role of the mediator between the two sides and the sponsor of the Middle East peace process. SS: The Israeli settlements in the Palestinian West Bank are growing in number and they are spread all over the territory. What happens to Palestinian statehood aspirations with all these settlements dotting the Palestinian map? I mean, can there be a Palestine minus the territory given to Israeli settlers? NQ: Absolutely not. Listen, settler colonialism is illegal under the international law. It represents a gross violation of the 4th Geneva Convention, i.e. is a war crime. It’s something that has no parallel in our world, especially in the 21st century. It has to stop, the world has to come together to prevent and to reverse it actually. So, Settlers and settlements are illegal, there’s no room for them to stay. The fact that are there are Israelis doesn’t give them additional legitimacy, they have to be dismantled and settlers have to leave our territory. SS: Israel is planning a law that will basically annex the settlements and make their territory the territory of Israel proper. Is Israel’s government headed towards the destruction of the idea of the Palestinian state? NQ: Unfortunately they are. We’ve witnessed a very serious departure from the main trend in Israel towards the right, extreme right, I would say, unfortunately, in all fields, not only with regard to the Middle East peace process and the conflict between the Israelis and the Palestinians. So this is a reality. What the Israelis are trying to do now is to proceed with settler colonialism to establish more settlements, to bring more settlers, to occupy more territory hoping to create new facts, as they call them, and then try to annex in a gradual way parts of this territory. And their ultimate goal is to prohibit or to prevent the Palestinian people from exercising their right to self-determination and national independence and to take over the whole Palestinian land. That’s the horrible political fact which we need to face and which the whole international community needs to be aware of. SS: Now that Trump has backed the Israeli Jerusalem claims, and with the prospect of settlement annexation by Israel, what are Palestine's options? NQ: Well, we might be the weaker side, I don’t deny that. But it’s the weaker side that has the right, that has the international law on its side, that has the whole international community in its support. If we just maintain our position and stay steadfast in our demands without any hesitation, without any changes in those positions, at the end, I believe, no power in the world will be able to defeat the Palestinian people and to deprive them of their natural rights. SS: Hamas, after the Jerusalem affair, has called for a new intifada against Israel. Can there be a third general uprising in Palestine anytime soon? NQ: Of course, there can be because of the Israeli practices and their oppressive measures being deployed against the Palestinian people, settler colonialism, the theft of our land and many devastating things that the Israelis are doing - of course, they can cause the third intifada or uprising. Let me indicate that it doesn’t come at the decision of any party. This is not something that the political forces can plan and decide its timing. This is something that should be and is spontaneous if it comes, and hopefully either the Israeli side will stop those policies and practices or the Palestinian people will decide to go on the new uprising against those policies and practices. SS: So does Fatah - the party of your uncle Yasser Arafat - support the idea of an intifada? NQ: Listen our policy of Fatah is clear. I mean, now we do support the popular resistance that is, to say, a peaceful resistance or a peaceful rejection of the Israeli policies and measures. We hope that this should be enough to stop the Israelis and to change their attitude and enable both side to reach a political settlement. But, nevertheless, it’s not totally in our hands. It’s actually dependent on what the Israelis might or might not continue to do in the future. SS: So would you support violent resistance if it broke out? NQ: I sincerely hope that we will not risk that point. We don’t want bloodshed, we don’t want violence. We want peaceful relationship, we want to establish peace in the Middle East. But, again, it takes two to tango and it’s largely dependent on what the Israelis might or might not do. Personally I would remain committed to popular resistance and peaceful ways and means to resist occupation. SS: But, Ambassador, Israel put aside, Fatah and Hamas have little love for each other. Can there be an agreement made by Israel and the West Bank Palestine and not Gaza Palestine? NQ: No, of course, any agreement should cover the whole Palestinian territory including Gaza. And while you might be right - there’s no love lost between Fatah and Hamas - we are both, I think, committed to the Palestinian national interest and the necessity of the establishment or the independence of the state of Palestine in 1967 borders with East Jerusalem as its capital. So that’s something that is very important, which is in common between the two sides. We have to struggle together to achieve this and we have to end the split to achieve reunification of the Palestinian territory, that is to say, between Gaza and the West Bank. SS: But if the West Bank reaches an agreement and Hamas doesn’t, how do you work around that? NQ: Well, the main problems we have with the Israelis relate to the West Bank: settlements are taking place in the West Bank, Jerusalem is in the West Bank. Attempts to reach an agreement and to draw the exact lines between the two states relate to the West Bank - so all problems that now exist between the Palestinian and the Israeli sides do relate to the West Bank. In a sense, Gaza doesn’t heavily appear in the picture in terms of actually reaching an agreement between the Palestinian and the Israeli sides. Nevertheless, for us, the Palestinians, it’s very important to be included in any final arrangements and, of course, the integrity of the Palestinian territory, the unity between Gaza and the West Bank is something that’s very important not only emotionally and nationally, but also economically, and in terms of the viability of the Palestinian state to be independent. SS: The founding Arafat generation of Fatah leadership is slowly giving way to new politicians. Who shall be Mahmoud Abbas’s successor when Mr. Abbas chooses to retire? NQ: First of all, let me praise the historic leadership of Fatah and the Palestinian people generally, headed by Yasser Arafat and other leaders including Mahmoud Abbas as well. In terms who is the successor, this is something to be decided by the Palestinian people through the Palestinian institutions when the time comes. I’m sure that the Palestinian people are capable of living up to such a responsibility to take the necessary decisions when needed. SS: Would you accept the duty of the Palestinian presidency if it was offered to you? NQ: Well, I think, I’m not being offered this duty by the Palestinian people at this stage. There’s no real question to answer at this stage. When we raise this bridge we’ll see how to cross it, including the personal commitment and the personal duties that might or might not be in place. SS: A lot of Palestinians from refugee backgrounds are now fighting in the Syrian civil war, I want to talk a bit about that conflict, like the al-Quds brigade in Aleppo supporting Syrian government forces. Does that mean that the Palestinians in general are sympathetic to the Assad cause? NQ: No, it means that the Palestinians in general, as you put it, are neutral in this conflict. We didn’t want to become a party, we always thought that a peaceful settlement - negotiations, debates, discussions among all Syrian parties - is actually the best way forward. Unfortunately, we aren’t listened to most of the time. But that’s, nevertheless, has been our position and, again, let me reiterate that we’re not taking sides in the Syrian conflict. We only wish to see an end to this conflict and to see the peaceful solution that would stop the bloodshed and enable the Syrian people to govern themselves in the right way that they choose themselves. SS: You were a UN envoy to Syria at the beginning of the civil war there. Right now, some progress is being made in the peace process, yet, evidently, the war is still raging. When, do you think, will peace in Syria become a reality - 1 year? 2 years? Never? NQ: Well, I was deputy to Mr. Kofi Annan, former Secretary General of the United Nations, as joint envoys to the Syrian conflict. It was the joint mission of the United Nations and the League of the Arab States. To be frank with you, I think the work done then was a very serious one. The most important point was reaching the Geneva Communique. At that time Mr. Kofi Annan and myself pushed hard to make it the basis for the political settlement. Unfortunately, some parties were not supportive enough so it didn’t work then and, I believe, a very valuable opportunity was lost. Since then, we’ve seen ups and downs, we’ve seen improvements and worsenings of the situation. Now it worries us to see some dangerous phenomena taking place recently including the increase in the intensity of fighting in some areas. Nevertheless, we also see some positive elements. So maybe through cooperation among the concerned parties we can overcome the remaining difficulties and actually achieve peace in that important Arab country. SS: Alright, thank you very much for this interview. We wish you all the best, Ambassador. We've been talking to Nasser al-Qudwa, former Palestinian foreign minister and the country's UN representative, discussing the prospects of Palestinian independence. On our next programme we will hear what the other side of the dispute has to say as I interview the former chief of Israeli military intelligence. That’s it for this edition of SophieCo. I’ll see you next time.